Green decks—essentially a green roof set at grade—are becoming increasingly popular. In addition to improved aesthetics, they can reduce pollution and simplify stormwater management. From the time of the Hanging Gardens of Babylon to the present, rooftop gardens have proven to be both functional and aesthetically-appealing. A recent study with the American Institute of Architects (AIA) revealed that the popularity of green roofs has skyrocketed. The survey reports that 34% of architects are implementing green roofs on at least half of their design projects. Two years ago, only 6% of AIA respondents reported this. The change is largely client driven. Two out of three respondents listed “client demand” as the primary influence. 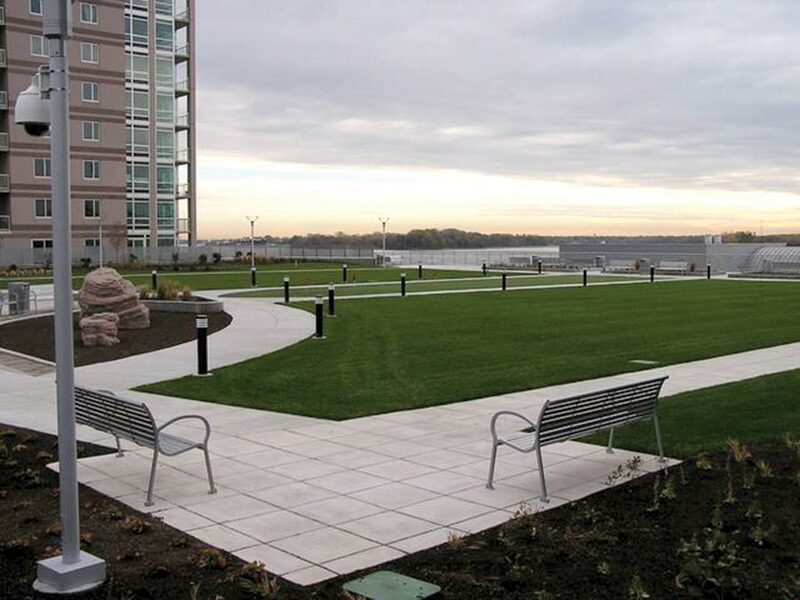 Waterfront Square in Philidelphia used a green deck to improve views from the nearby condo units, provide green space, and mask an underground parking garage . He adds that the increase is partly because more architects understand the technology. “Clients are asking, and architects are able to oblige,” he says. The term “green roof” refers primarily to vegetated low-slope roofing. It has a number of real advantages. 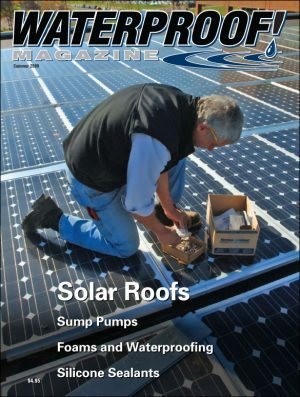 (See Green Roofs: How and Why on page 20, or the feature length story in the Winter 2008 issue of this magazine). But the technology isn’t limited only to rooftops. With space at a premium, architects and designers have started moving buildings and parking structures underground, covering them with plazas, parks, and even athletic fields at ground level. These green decks look like a typical park or green space, but are designed and function as green roofs. One such project is the library addition at Brigham Young University in Provo, Utah. Needing to expand the existing library, but not wanting to eliminate green space on campus, the designers drew up plans for a three-story underground annex. A green deck would be installed over the top of the addition—at ground level—restoring the Quad to its original beauty. A pair of skylights protruding from manicured flowerbeds allow daylight into the hidden library below. Another outstanding example of green decking is Waterfront Square, located on the banks of the Delaware River in downtown Philadelphia. According to Dennis Yanez at American Hydrotech, the building is in an “up-and-coming” part of town. 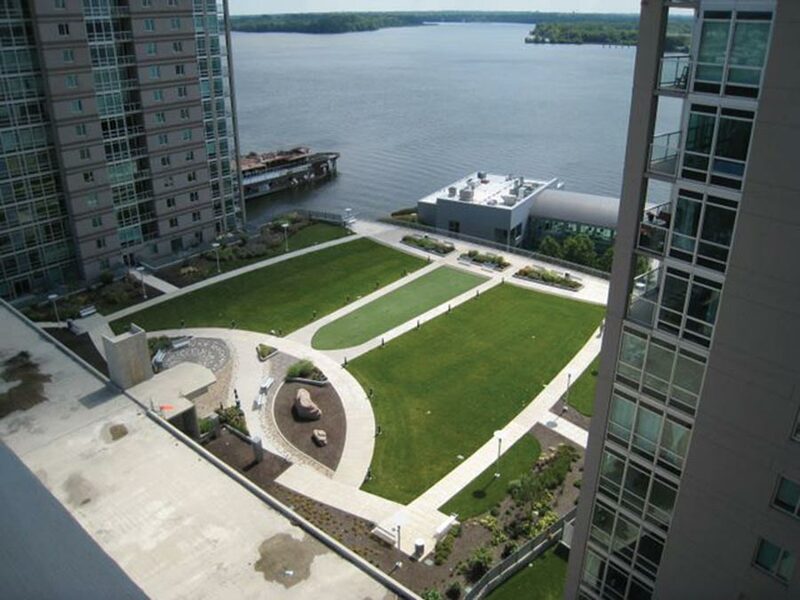 “Having green space for prospective buyers and tenants was a must-have amenity,” he explains. The twenty-story condo building, spa, and parking area was designed by the architectural firm Wallace Roberts Todd. “WRT has become an ardent supporter of the green roof concept in general,” says Yanez. The architects convinced the developers, Isle of Capri Associates, of the merits of moving the parking area under-ground and topping it with a green plaza. Units overlooking a beautifully landscaped park along the river would sell for more than if they overlooked a typical asphalt parking garage, they reasoned. But there were other considerations as well. With a building site immediately adjacent to the river, stormwater management was a concern. By landscaping the ground-level roof, designers could use the green deck to delay and clean the run-off. 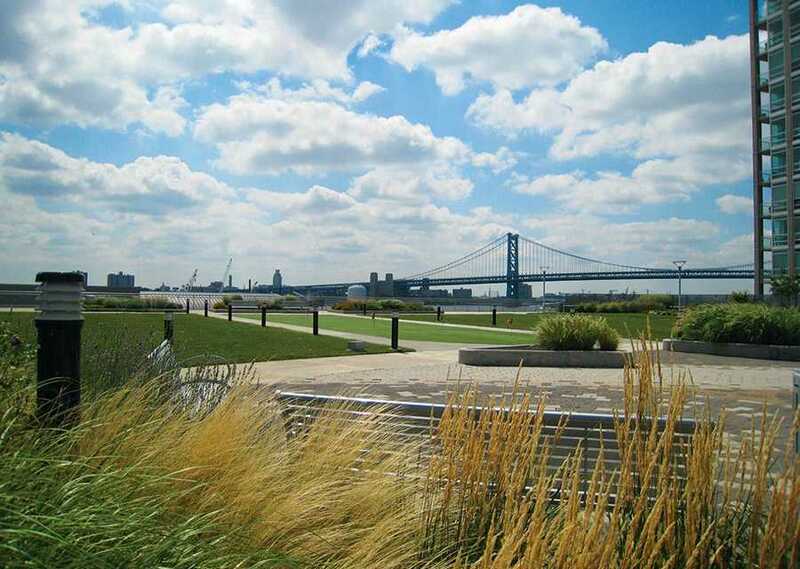 From ground level, it looks like a typical park, offering stunning views of the Deleware River. Based on the designers’ plant selection—in this case grass—Hydrotech put together an assembly of components that met their requirements. 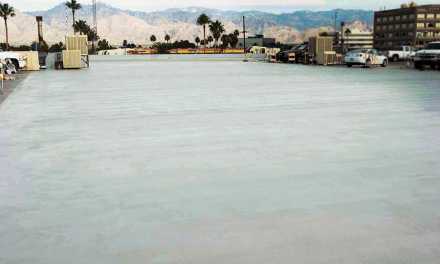 For the roofing membrane, they used a fabric-reinforced, fluid-applied, rubberized asphalt membrane. The 6125EV from American Hydrotech is seamless, simplifies flashing, bonds well to the substrate, and has good self-sealing capabilities. A protection layer/root barrier was installed, but no insulation was needed as it sat atop an unconditioned parking garage. The drainage/water retention mat used for this project is composed of recycled, non-rotting, polypropylene fibers stitched through a polyethylene carrier sheet. It was simply rolled out over the root barrier, and covered with a geotextile filter fabric to keep the soil in place. This assembly was topped with about eight inches of engineered lightweight soil and planted with lawn grasses. The final result is a beautiful plaza. The parking garage underneath the structure is virtually invisible. Hydrotech has been involved with many other green roof and green deck projects, including Park View West in Chicago, which is very similar to Waterfront Square in that both feature a green roof on a parking garage, set virtually at grade. The company offers a free resource handbook to architects and design community professionals covering sustainable design, roof decks, and green roof applications. 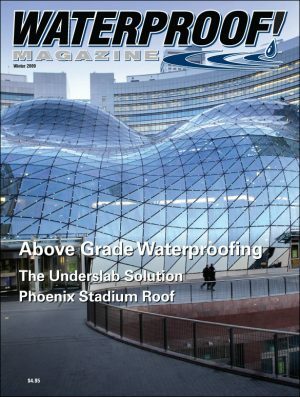 American Hydrotech is only one of several dozen companies making waterproofing products specifically for green roofing applications. 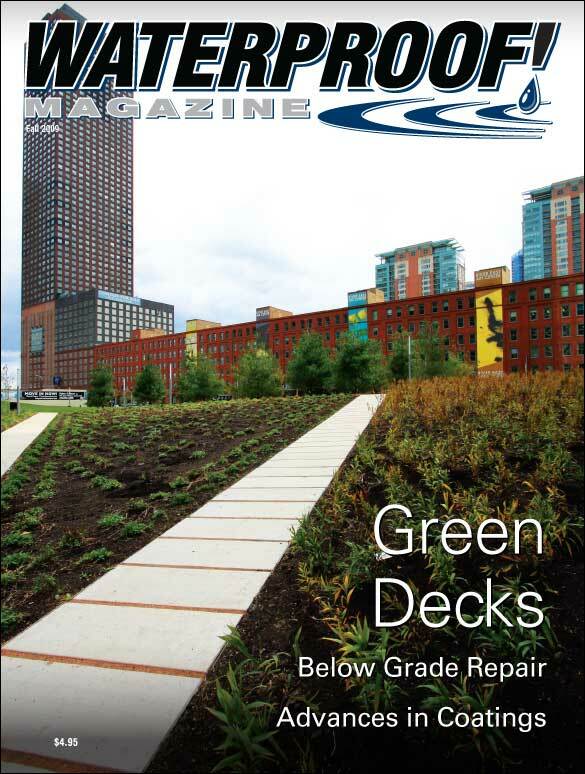 Carlisle Coatings, Cetco, Epro Services, and JDR Enterprises all have products and literature designed and written specifically for green roofs, green decks, and planter boxes. JDR Enterprises recently supplied material for two innovative residential projects. 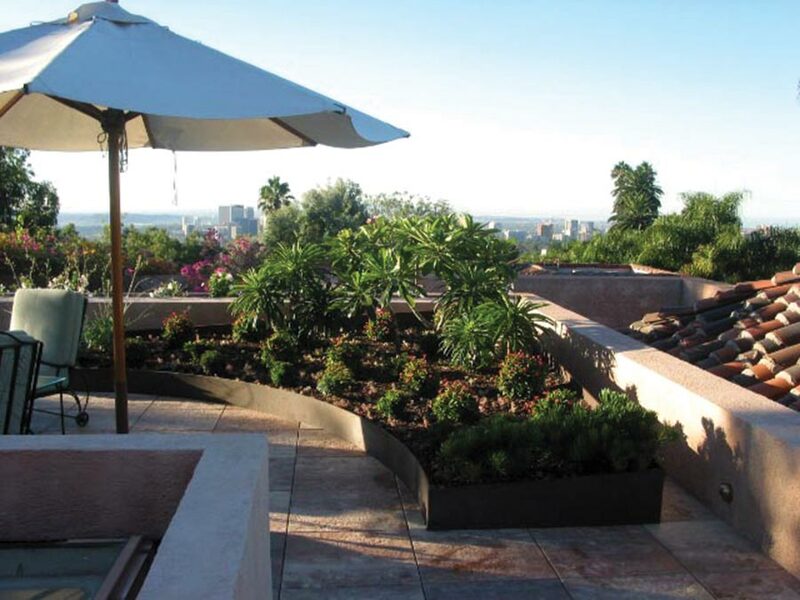 The rooftop terrace of a home in beautiful Beverly Hills, Calif. provided breathtaking views, but porous clay tile and “failed waterproofing” led to frequent leaks. The first step was to properly slope the roof. In a departure from the typical procedure, fireproof insulation was installed first, followed by a waterproofing membrane. Both this membrane, and the 60mil protection layer loose-laid on top, were Sarnafil products. The parapet walls, flashing and counter flashing made for a complex job. After testing for leaks, a moisture mat was installed. 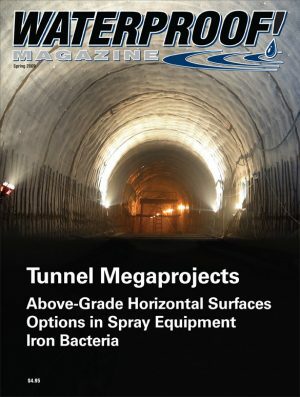 This project utilized J-Drain’s 302 Geonet. This was laid under the entire deck, including areas that would be covered with pavers. The owners then installed the steel planter boxes. These were custom designed and fabricated Corten 3/8” steel planter frames with mitered corners and welded edges, but no bottom. These planters were craned up to the rooftop, and placed on the drainage mat. Foam layers were necessary in some areas to slope planting surfaces and control soil depth/weight. Planters were filled with American Hydrotech’s intensive growing media at depths of 6” to 14”. The finished assembly averages about 28 lbs. per sq. ft. and cost about $85 per sq. ft. not counting plant material, overhead or design fees. The A&P Lofts, in Atlanta, Georgia, have seen many design trends come and go. Constructed in 1930 for the Atlantic & Pacific Tea Company (A&P grocery), the building served as regional headquarters and bakery for 46 years. In 2001, Miller-Gallman purchased the building and converted it to loft apartments, and later condominiums. The red brick and concrete exterior with glass brick is typical for its time, and the flat roof could potentially offer an unobstructed view of the Atlanta skyline. In 2007, the owners decided to capitalize on the potential and add a rooftop observation deck with vegetated areas. The initial greenroof idea was the brainchild of a group of architects and designers who were living in the building at the time. They put together a greenroof proposal, but it was shelved due to an impending change in building ownership. The new owner, however, liked the idea and hired John Moores of Pimsler Hoss Architects to make the vision a reality. Moores tackled the weight limitations inherent in the old building by designing a structural steel frame to raise the green roof 6” off the existing roof deck. Form there, construction was fairly typical. A fluid-applied waterproofing membrane was applied to the steel, and a layer of J-DRain 302 was installed on top of that to allow water to get to the outlets. EPS insulation board was installed on top of the 302 to further reduce soil weights. A water retention mat installed on top of the insulation board captures rainwater for the plants. Based on Atlanta’s rainfall, no formal irrigation system was installed. It can, however, be watered by hand during droughts. The growing medium varies in depth from 8” – 11”. Completed in July 2007, all building residents have access to the rooftop garden and its sprawling view of Stone Mountain. The roof garden will provide shade and green space to relax, as well as a water feature, and stainless steel grills. Green decks and planter boxes are becoming increasingly common, and the demand is only expected to increase. Whether or not it becomes an established design practice, waterproofers will play a key role in making sure green roofs have a good reputation. A green roof, or ‘vegetated roof,’ is a plant-filled rooftop garden that offers an attractive and energy-saving alternative to conventional roofing. It reduces energy consumption and decreases the “heat island” effect. It keeps buildings cooler, saves energy, and extends the useful life of the roof, while adding beauty and usable space. Greenroofs are comprised of up to a dozen different components, each of which is selected for the demands that will be placed on it. 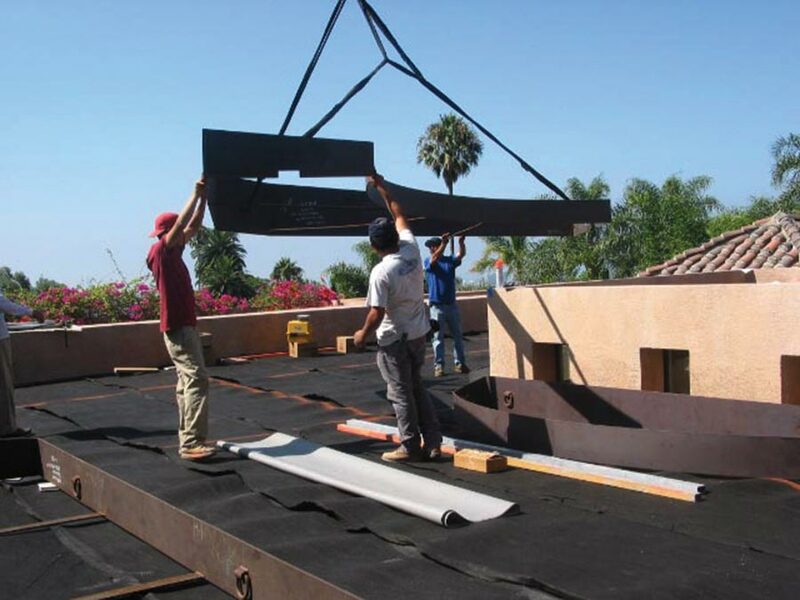 Structural Roof Deck – Must be designed to support the weight of the roofing system, soil, water, and plants, as well as any live loads. Acceptable deck types include cast-in-place concrete, precast concrete, and metal deck with a coverboard. 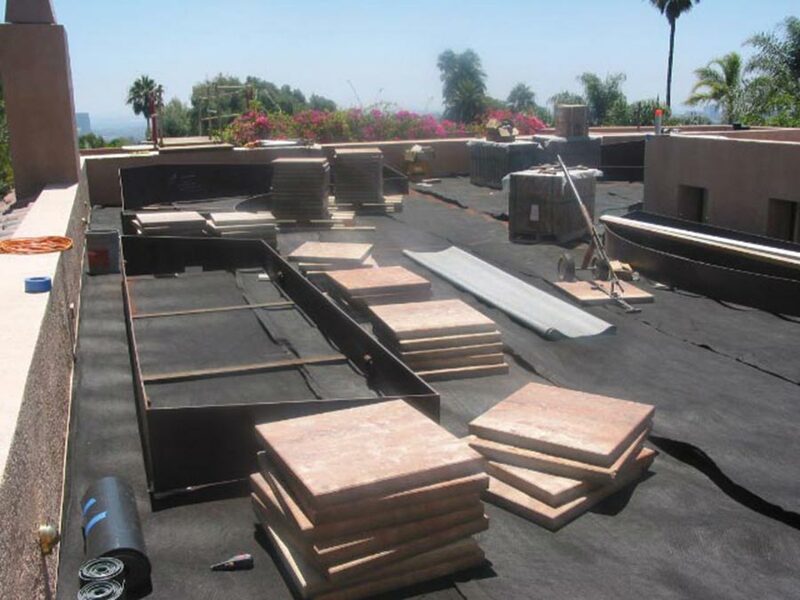 Roofing Membrane – After the structural roof deck is in place, a waterproofing membrane is installed. Whatever membrane you use, remember that it will be buried under other components and several inches of growing medium. It is crucial that this membrane be absolutely leakproof. Insulation/Air Barrier – The type and amount of insulation used depends on the thermal requirements of the structure. Expanded polystyrene foam (EPS) is popular because its dimensionally stable, has a high R-Value, and has excellent moisture resistance. Protection Course/Root Barrier – To prevent roots from penetrating the waterproofing/roofing membrane, a protection layer/root barrier is installed. Drainage/Water Retention/Aeration – Depending on the needs of the vegetation, two or three separate products may be used. Products must be able to drain away excess moisture, while retaining enough water for plant growth. Typically, moisture mats use deep dimples sheets, mats of tangled fiber, or both to ensure proper moisture retention. Filter Fabric – A geotextile filter sheet prevents fine particles in the growing medium from being washed out of the soil and clogging the drain layer. 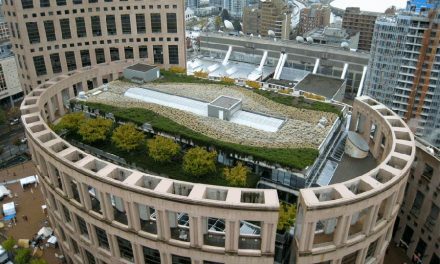 Soils – The most critical part of any green roof system is the soil. Lightweight engineered soil is almost always used to prevent excess loading of the roof structure. It provides a stable structure for anchoring the plants’ root, while remaining as light as possible. It also supplies essential nutrients, water and oxygen. Vegetation – A wide variety of plants are suitable for green decks and garden roofs. The selection of the appropriate plants depends on water, soil depth, and local climate. Typically, green roofs incorporate hardy plants with shallow root system that are resistant to drought, frost and wind. 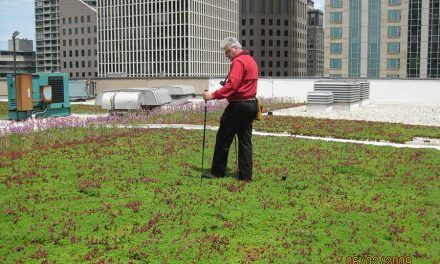 Kelly Luckett, a green roof consultant that has worked on projects across the U.S., cautions that “plants are living beings, on the ground or up on the roof. Low maintenance does not mean ‘no maintenance’.” He strongly recommends installing an irrigation system, even if it’s only used in time of drought. He also reminds building maintenance supervisors that some fertilization and other plant care is required as well. 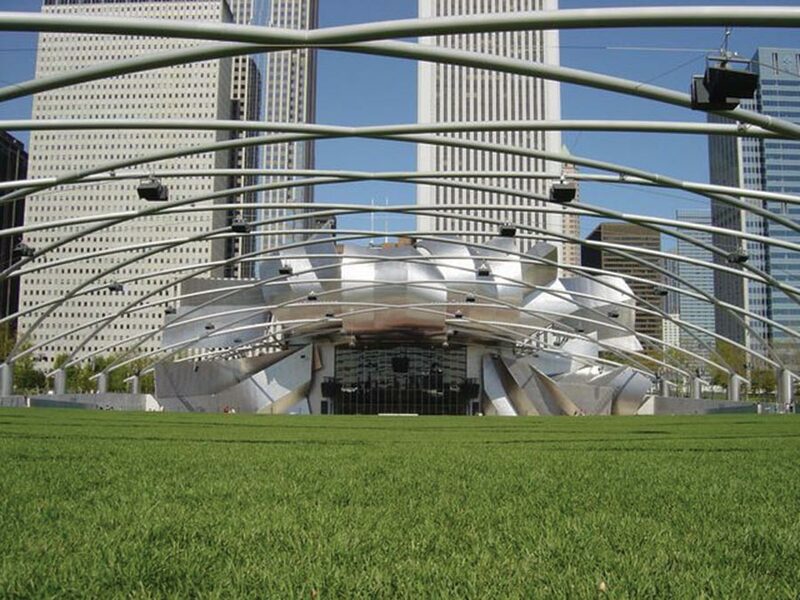 Millennium Park is perhaps the largest intensive green roof project in the world. 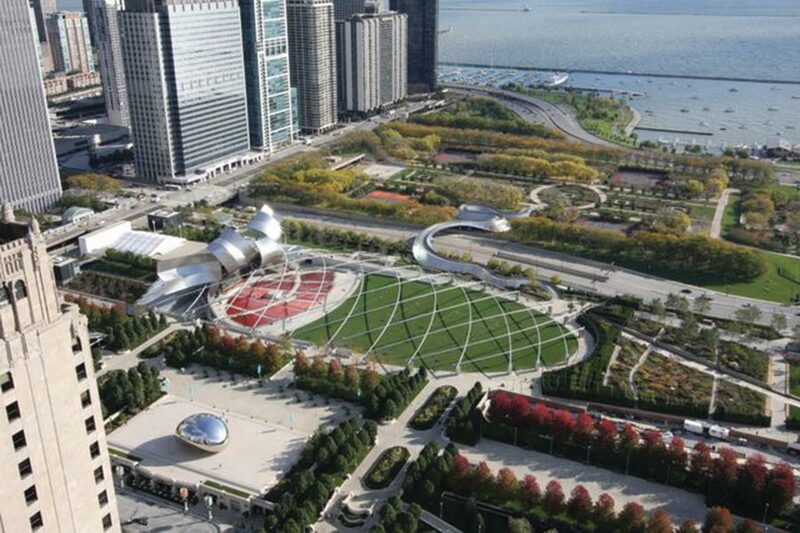 This 24.5-acre public park in Chicago sits atop a conditioned building. City agencies and a private donor group Millennium Park, Inc. created the vision to transform an unsightly train terminal, railway lines, and underground parking facility into a state-of-the-art outdoor music facility. The project cost was $480 million. The park features renowned works of architecture, fountains, sculpture, and botanic garden spaces, as well as performance facilities, restaurants, and a skating rink. More than 900 trees, shrubs, groundcovers, and perennial and annual frowers grace the park. Below the park sit two subterranean parking garages with 4,000 spaces, a 1,525-seat indoor performance theater, and a multi-modal transit center that connects to the existing railroad lines and station. The entire 24.5 acre deck was waterproofed with a hot-applied rubberized membrane system. Expanded polystyrene (EPS) foam was used to create landforms. Most of the roof deck is supported by the two reinforced concrete cast-in-place garages, while a combination of steel structure and pre-cast concrete structural tees span the railroad tracks. Because the structural deck was designed to support four feet of growing medium, the park design is not limited by the pattern of the structural columns below. Growing medium for most park areas is natural soil, a sandy loam available locally. The end result is varying profiles of growing medium with sand drainage ranging from 8 inches to four feet deep. The layout of the park guides pedestrians from the nearby blocks along two walkways lined with formal double rows of pear trees blooming white in the spring. Separate “rooms” are defined by elm, maple, crabapple, and hawthorn trees. Scattered among these are the Wrigley Square fountain and peristyle, the McCormick Tribune Skating Rink, the Dining Terrace at the Park Grill, and the Crown Fountain with fifty-foot high video towers. The plant selection favors native prairie perennials and non-native perennials grouped within plant communities, selected for color, texture, and dependability. Lurie Garden is the 3-acre botanic showpiece, containing more than 26,000 perennial plants of 140 varieties and depicts the pre-settlement Midwest landscape. The centerpiece of the park, 4,000-seat Pritzker Pavilion provides free performances throughout the summer. Another 7,000 can be seated on the Great Lawn a 95,000 sq. ft. open space designed to withstand extreme traffic use. The park, completed in 2005, revitalized the nearby area. Seven condominium projects have sprung up to overlook the park, and the Visitors’ Bureau estimates it will attract $3 to $4 million annually, a major financial benefit for the city. And like all garden roofs, it will absorb pollutants from the air, filter stormwater runoff, reduce the urban heat island and provide multiple social, cultural and economic benefits. 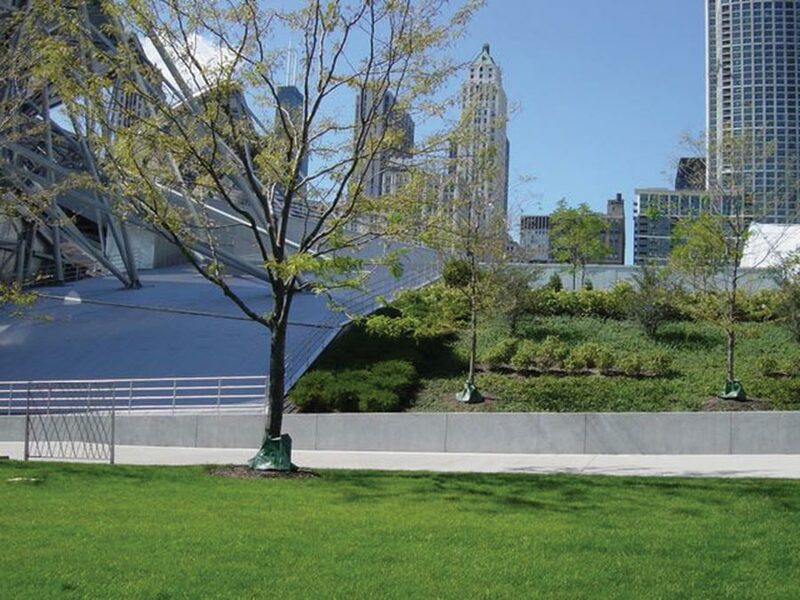 Millennium Park is proof that carefully conceived green decks can transform blighted areas into generators of urban pride. The new generation of spray-applied waterproofing coatings provide better protection, faster cure times, less health risks, and more durability. With construction similar to vegetative roofs, green decks and planter boxes preserve open space, reduce stormwater runoff, and protect the building envelope. This is one area of the business that does well regardless of the economy. 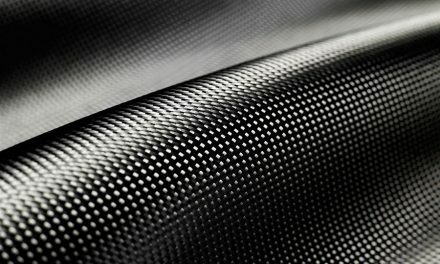 Crack injection, piering, and carbon-fiber products all have their place. One of the world’s longest bridges. Stretching 5.6 kilometers (more than 2 .5 miles), is made almost entirely of concrete.